You are here: Home / Guest Blogs / Help TODAY: STYROFOAM BAN BILL COMING TO THE SENATE FLOOR! 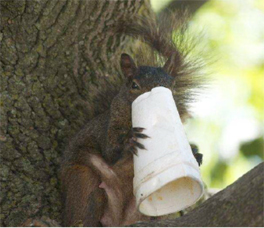 Help TODAY: STYROFOAM BAN BILL COMING TO THE SENATE FLOOR! PLEASE CALL OUR FREDERICK SENATORS, ESPECIALLY MICHAEL HOUGH, EVEN IF YOU’RE NOT A CONSTITUENT OF HIS, AND ASK HIM TO SUPPORT. I called Senator Hough’s office today and his assistant was not familiar with the bill, so I gave him some information about it. It would help a lot if Senator Hough would receive more calls, indicating that in Frederick County there is interest in getting styrofoam out of our streams, roadways, and landfill. In addition, please consider calling Senator Ron Young’s office to thank him! He is a co-sponsor of the bill and will, of course, support it on the floor of the Senate. BACKGROUND: Prince Georges and Montgomery Counties have already banned EPS food service products, with little or no impact on consumers and businesses. Foam products are easily replaced with a wide variety of recyclable and compostable food ware, which is constantly improving as demand grows for more environmentally–friendly containers. Single-use Expanded Polystyrene (EPS) is a serious environmental problem. Inexpensive and nearly indestructible, it degrades into increasingly smaller pieces, absorbs toxic chemicals, and marine animals easily mistake it for food. People litter EPS more than any other waste product. In some locations, it makes up the majority of waste found in streams, and is the second most form of debris on many beaches.